The KnitWits Make a Move! Meet the KnitWits, a wacky family whose silly wordplay mix-ups both teach and entertain. “Sleep tight, KnitWits,” Mrs. KnitWit called. So everyone snuggled in as close as they could. Because the KnitWits are a tightly knit bunch. In this charming and original picture book, it’s time for the KnitWits to move into their new home. After unpacking, they decide to celebrate with a housewarming party! How do they “warm up” their house? By wrapping it in blankets, of course! Then they “serve” snacks with a racket; and when it’s time to “ice” the cake, into the freezer it goes! After all the fun and excitement, the KnitWits are all tuckered out, and it’s bedtime for this tightly knit family. Playful twists on language paired with stunning mixed media artwork make for a lively and entertaining read that is a joy to share again and again! Abigail Tabby lives with her family in New Jersey. She has written many books for children. Lee Wildish became interested in illustration and art at a very young age. As soon as he graduated from the University of Nottingham he started working as a graphic designer for an advertising agency, learning the ins and outs of graphics and corporate literature. Several years later he ventured into greeting cards, where he produced illustrations and design concepts from inception through completion. Lee now loves to illustrate children's books and adds humor to his work whenever possible. He believes that there’s nothing more warming than seeing people enjoying a published book that he has illustrated. Lee now lives in Nottingham, England. 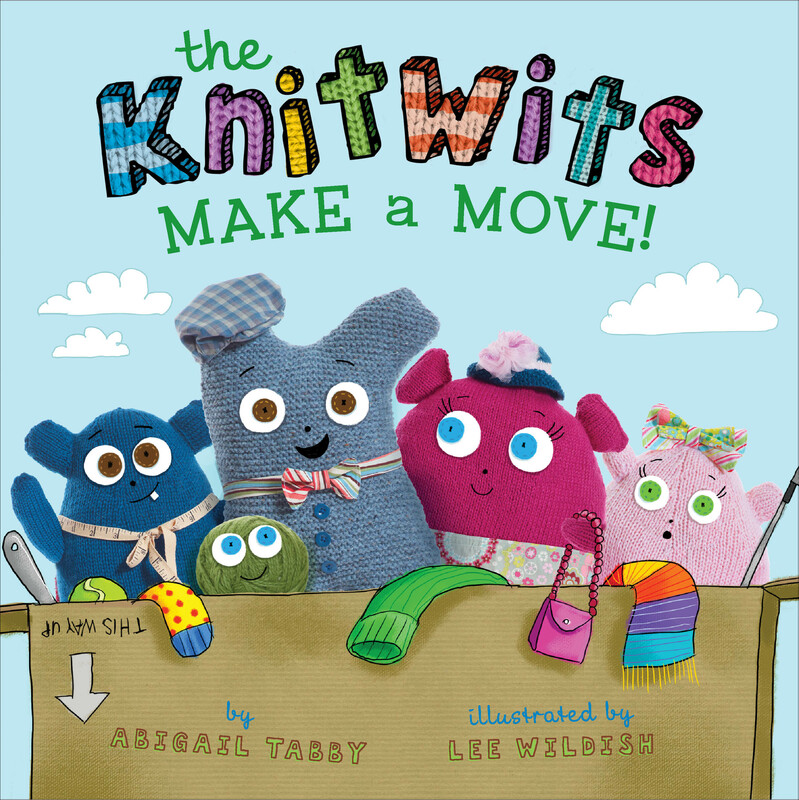 Book Cover Image (jpg): The KnitWits Make a Move!